I’m thinking by now you guys have figured me out. I actually love every color. Sure, some more than others, but there is truly not a color I can say I do not like. 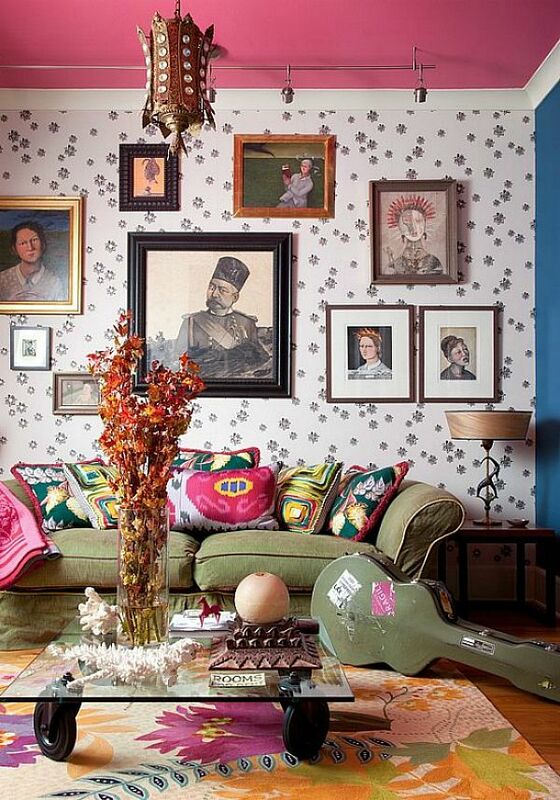 I’m going to share some fabulously bold rooms that bring color and color mix to a whole new level. Check out this detail shot. Multiple color, multiple patterns. Gorgeous. 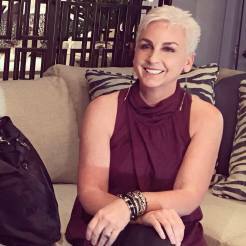 Mayme Baker is a designer in South Carolina and I absolutely love her work. 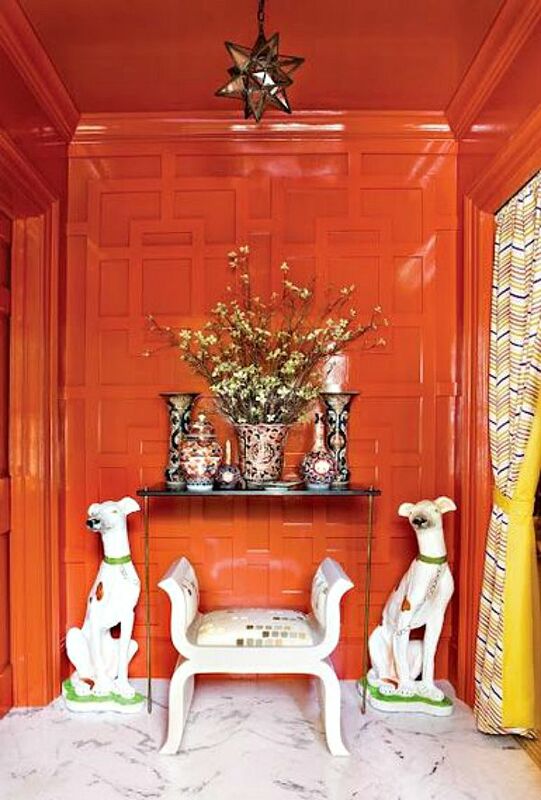 How about bold yellow bookcases on pink lizard wallpaper? Yep, I love it. This room is so amazing I don’t even have the words. 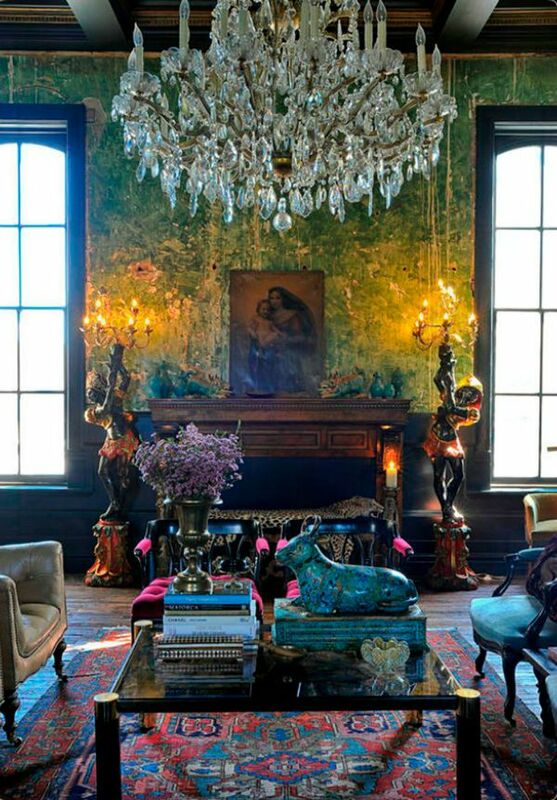 Everything about it – the peeling wall, the lamps, the chandelier, the rug…it is all divine. A little preppy mix maybe? 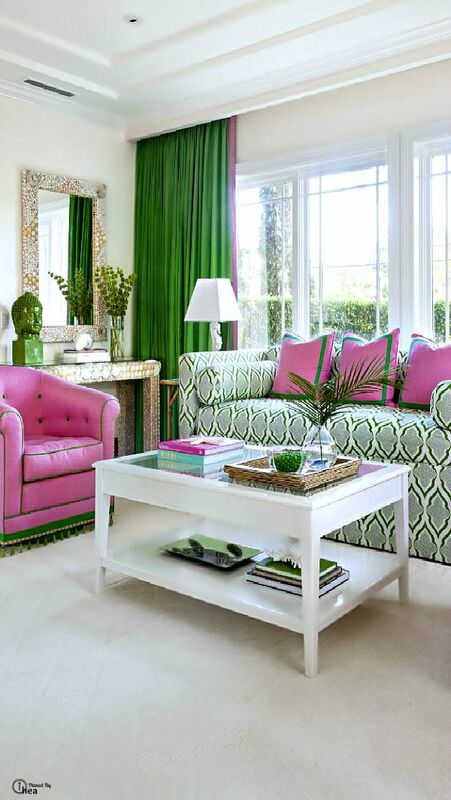 You cannot go wrong with pink and green. 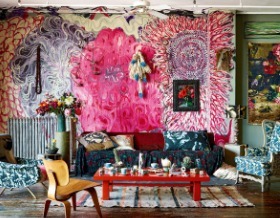 Oh my gosh, this is crazy cool with it’s colorful rug and funky art. How mysterious is this? Seems so brooding, yet fun at the same time. 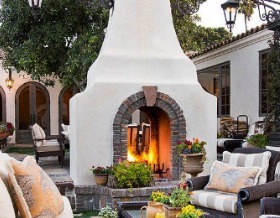 This sectional banquette. 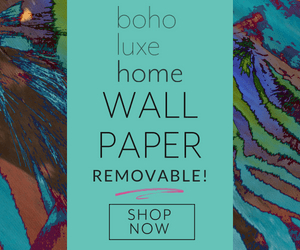 On that wall covering. With that table. And those chairs. 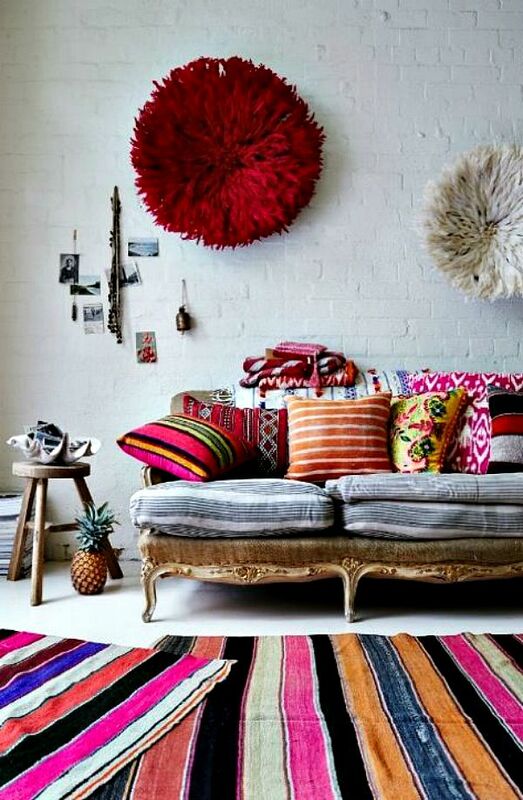 Love all of the patterns in these pillows mixed with the striped rugs. 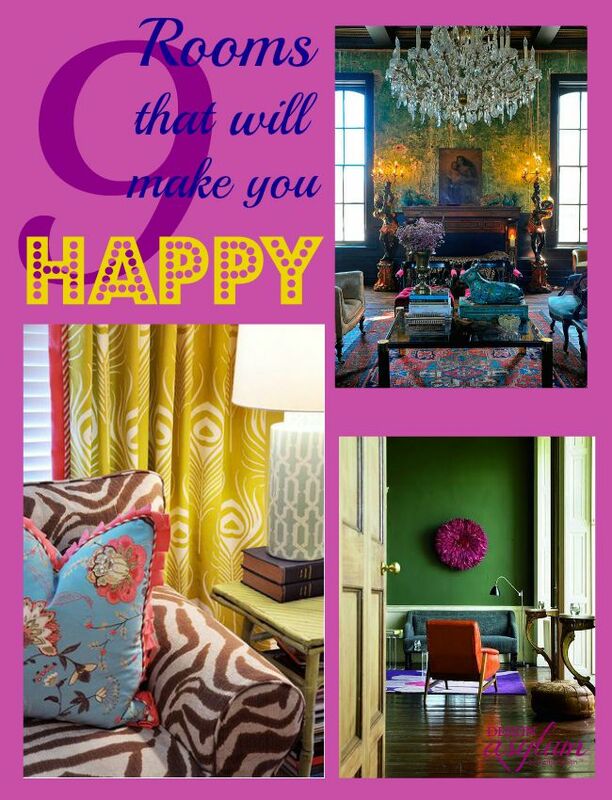 I know you are smiling because you cannot see all of these fabulous colors and not get taken to a happy place! 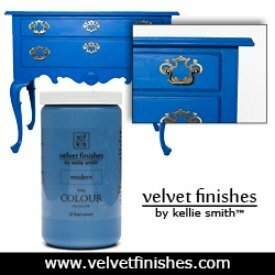 Do you live with strong colors in your home? I loved that one too Ilona! Thanks so much for stopping by! I absolutely love the yellow cabinets. Love your eye for detail. Thank you Kimberly! These rooms are all amazing to me. I love bold colors! Thanks so much for stopping by! 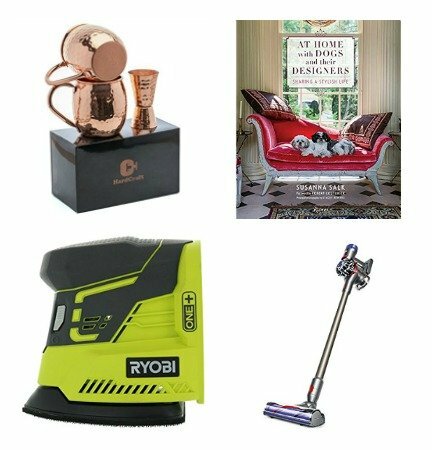 Oh, it’s fun to look at but definitely not my style for my own decor. 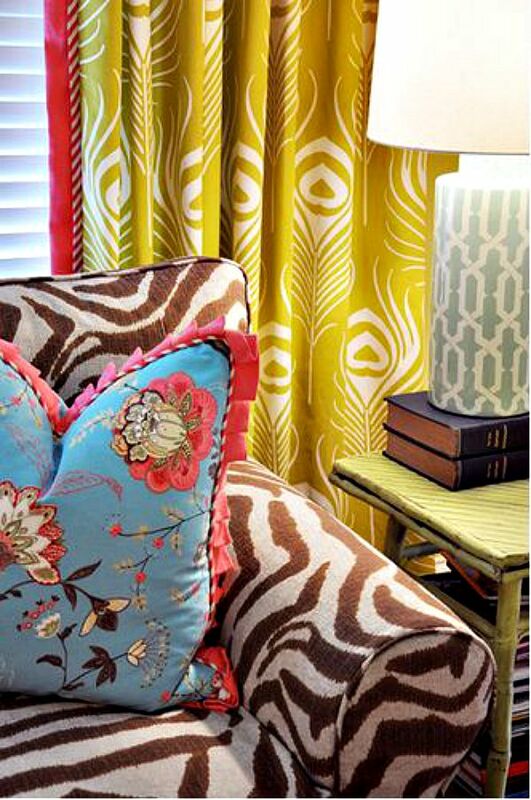 It really takes a keen eye to mix colors and patterns like these designers do! I understand where you are coming from! 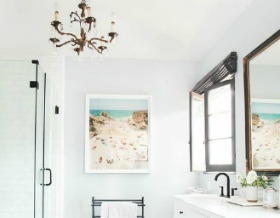 I see these gorgeous rooms that are all neutral colors and I think “wow, it is so gorgeous” but I know I could not live in it. I might try it in my next house though. One never knows!! (-; Thanks so much for stopping by! Yes you are right Leilani! Most people do not realize that strong colors were actually used throughout history. Have you seen pics of Thomas Jefferson’s home, Monticello? 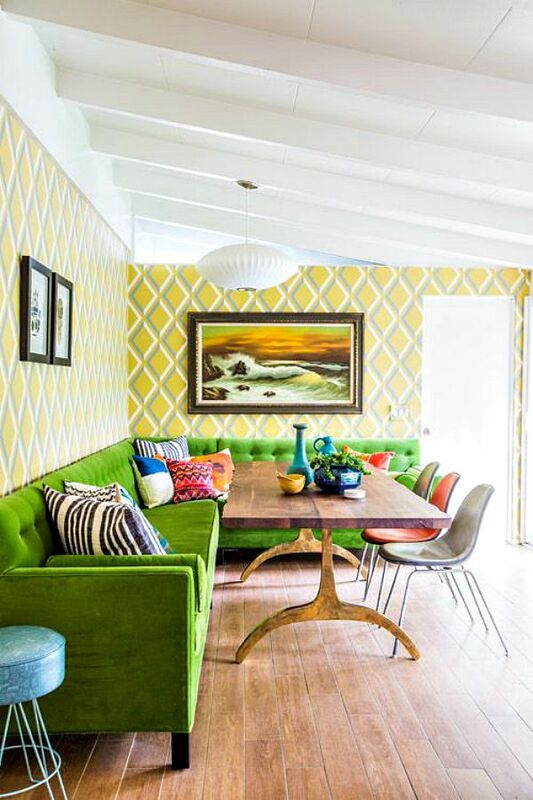 His dining room was bright, bright yellow. (-: I’ll have to check my collection…I’m not sure I have read that book but I love a good read. Thanks for the recommendation!! 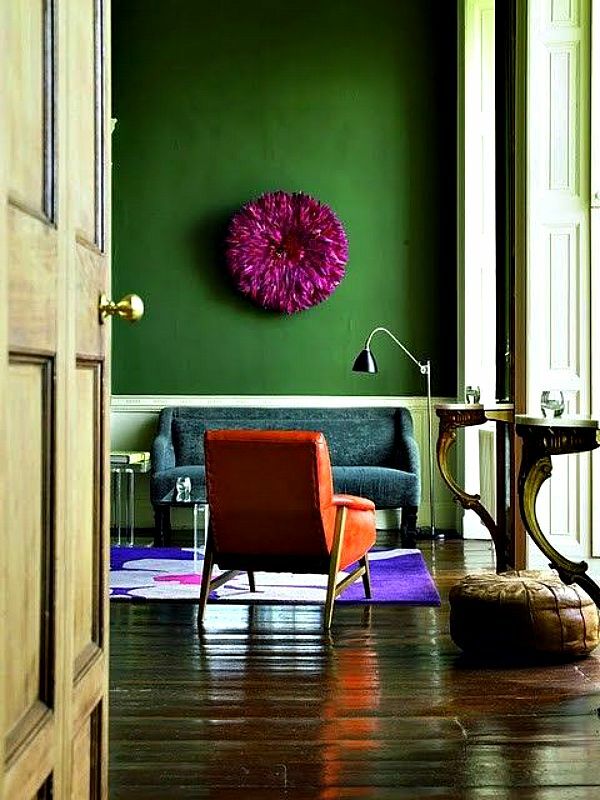 I love color and it’s disapearing,ok you can have your Muted Scandi Style too but I would go crazy without colour I’m from the UK so that’s how we spell it. I’m so glad I found you it’s looking a bit washed out,Out There I’m going to definitely follow your Boards and blog,Do get me wrong I love the blogging community there my Sisters but we are not all the same are we,What a Dull world it would become.